Boons from the Court of Twilight to aid Condor Boy on his journey to the rim of the world . . . GURPS Alphabet Arcane describes these and more – 26 unusual items for GURPS Fantasy campaigns. Pyramid #3/1: Tools of the Trade – Wizards contains "." Is For Full-Stop Drum by Stefan Jones . 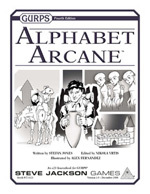 . . a bonus letter for fans of GURPS Alphabet Arcane. 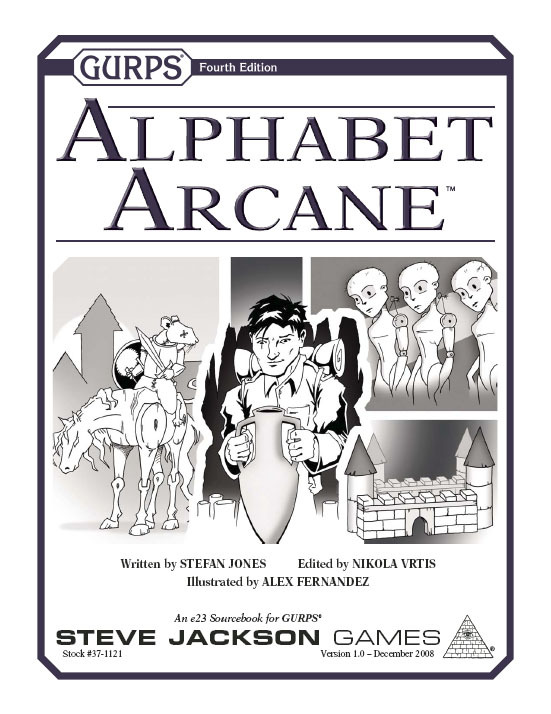 GURPS Alphabet Arcane: Lost Serifs is a free supplement that contains some out-takes and alternate visions of the items from GURPS Alphabet Arcane. GURPS MacGuffin Alphabet contains an additional two baker's dozens of unusual artifacts, ready for use in any campaign set in modern times or beyond!